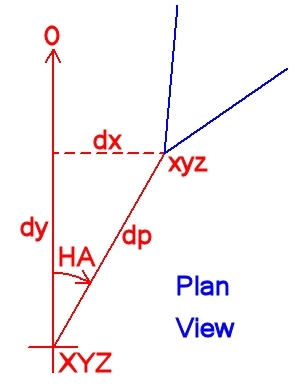 Computation of the co-ordinates of the points of interest from the data extracted from the spherical panoramas is more efficiently carried out using intersecting vectors in space, but standard trigonometry is probably more familiar to most people and can also be used. 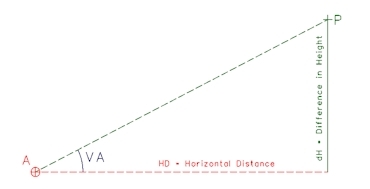 Two values can be determined for the height of the point (P) from each of the spherical panoramas and compared to give an indication of the precision of the measurements. When using the projections from Spherical Panoramas the directions in space are from a single origin making the mathematics much more straight forward than when using a camera mounted on a theodolite as for Photographic Intersection. 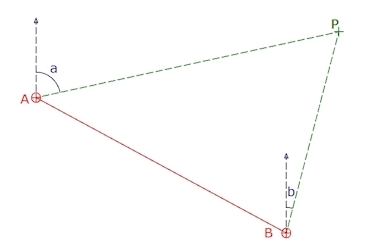 Not only do we need to consider the offset of the entrance pupil as shown below, but for most lens, especially fisheye lenses, the entrance pupil is itself a variable changing with the angle the rays enter the lens. 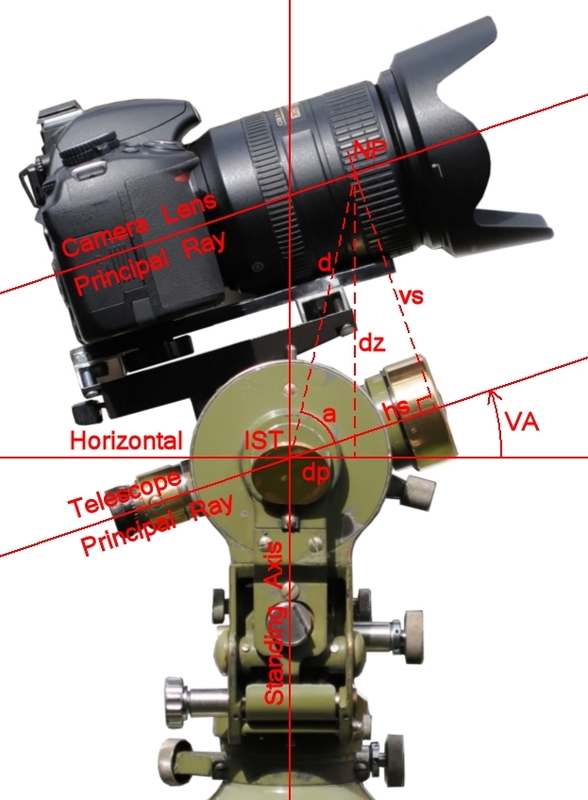 The relationship between the camera and the theodolite on which it is mounted can be considered as the difference in location of the entrance pupil of the lens and the intersection of the theodolite trunion axis with that of the telescope. 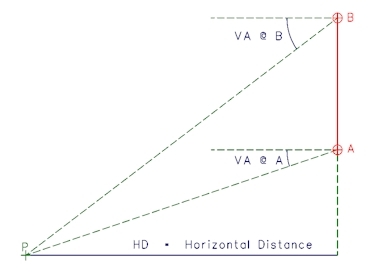 The computation of the co-ordinates for the entrance pupil of the lens is from the location and orientation of the theodolite together with the three components representing the linear, lateral and offset of the entrance pupil.